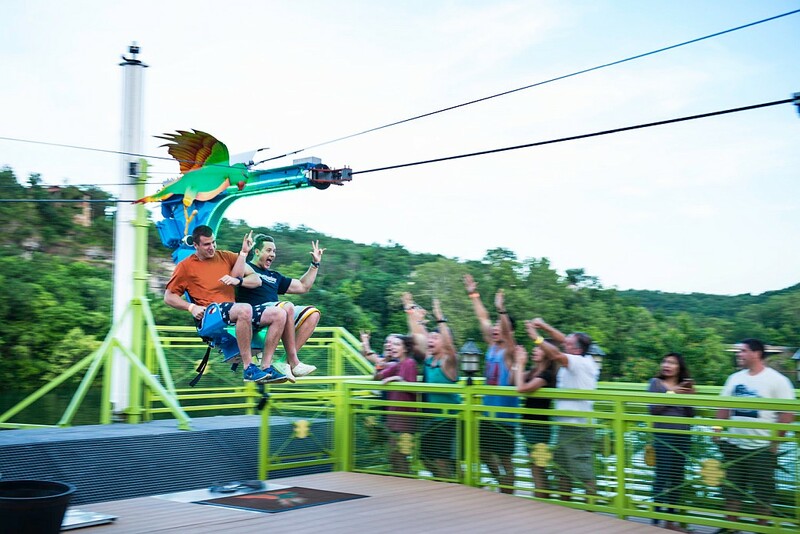 Experience Branson’s only waterfront zipline as you are whisked over the beautiful waters of Lake Taneycomo! 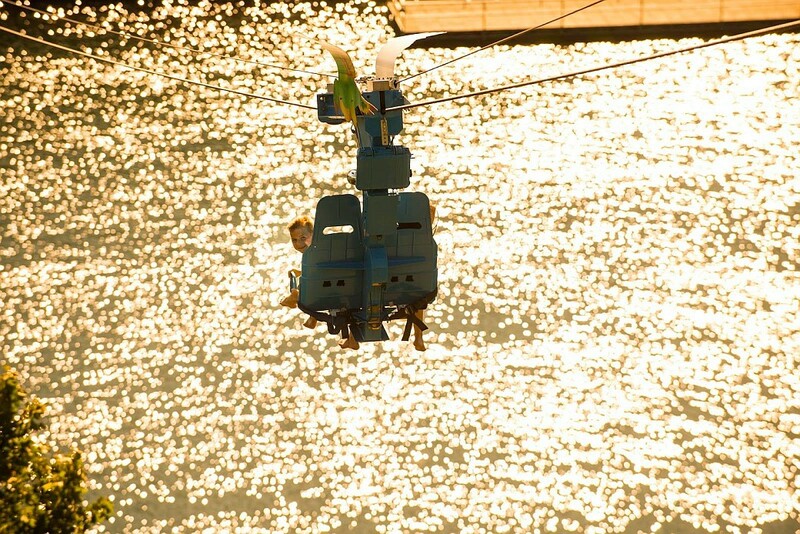 Booking tip: Parakeet Pete’s Waterfront Zipline is very popular, advance reservations are recommended! 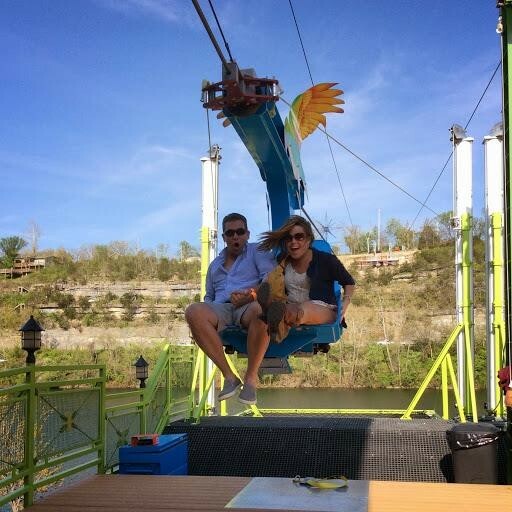 Your pass also includes unlimited rides on Parakeet Pete’s Steampunk Balloon! 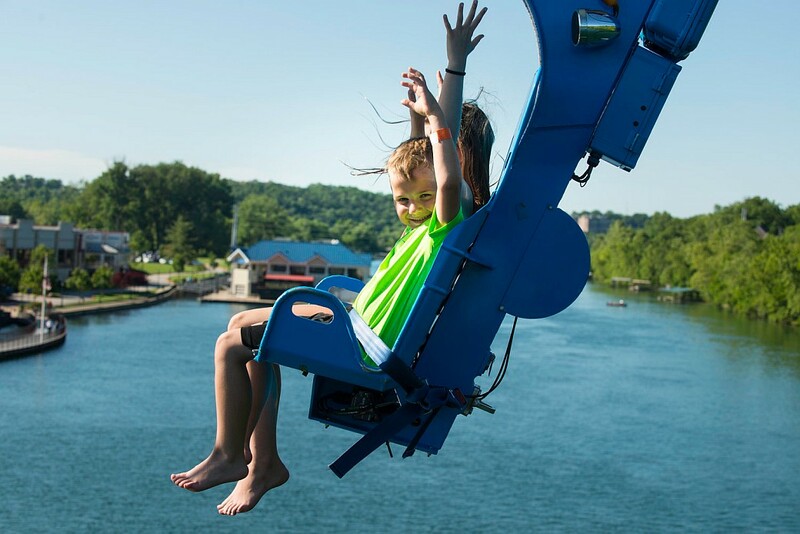 Get ready for a once-in-a-lifetime experience as you sit down, buckle up, and are zipped at an exhilarating speed over Branson’s famous Lake Taneycomo! 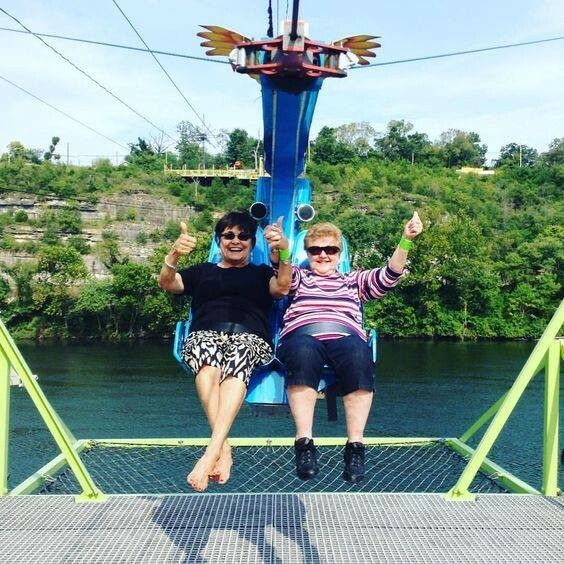 The only waterfront zipline in Branson that whisks you away over a body of water, Parakeet Pete’s offers an unforgettable experience for all ages! 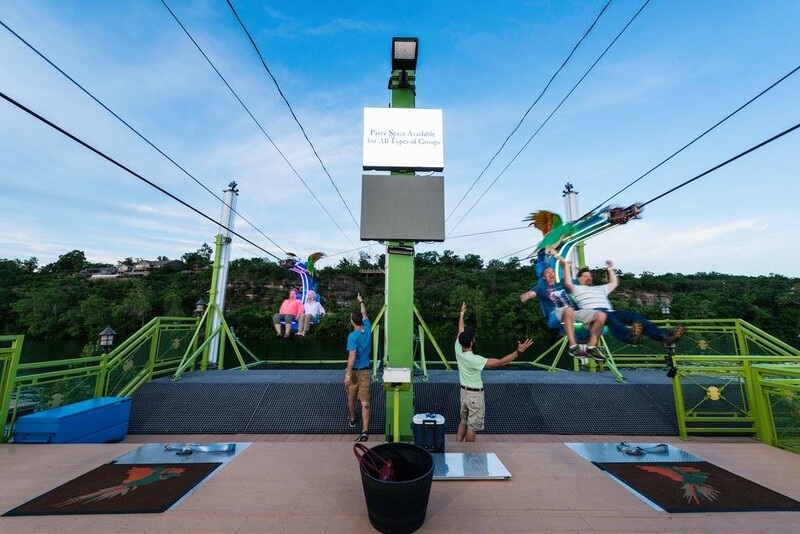 Take part in this unique ziplining attraction as you step up to the boardwalk’s launch area. 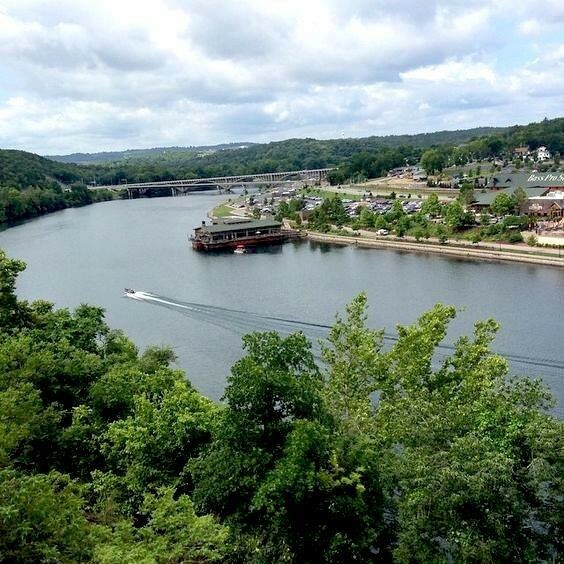 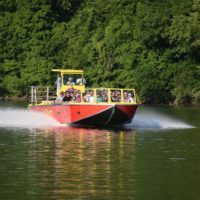 Sitting down in the specially-designed and built seat (that can accommodate two people at once), you are firmly secured into your seat, before being whisked over the water to the top of the bluffs that overlook downtown Branson, Lake Taneycomo, and the Branson Landing! Once you’ve arrived at the top, you will zoom your way back across the water to end up at the launch pad from which you started! 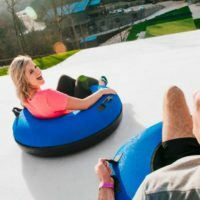 All Ages, 42″ and Up! 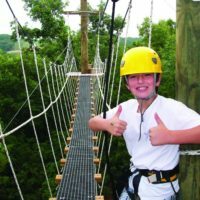 Fun for all ages, the zipline is fun for all riders 42″ and up – providing an incredible and unforgettable experience for all ages! 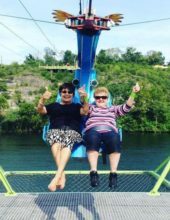 Every part of the attraction has been designed for your complete comfort and safety, ensuring a safe and enjoyable ride for everyone! 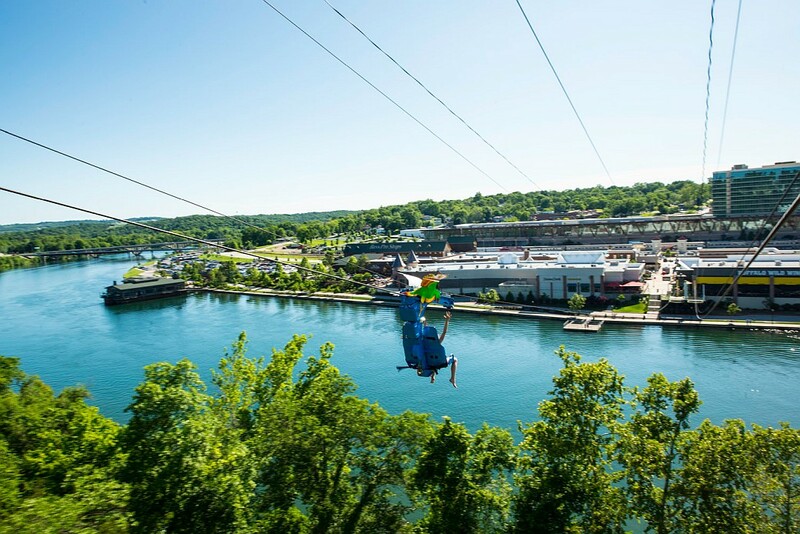 Situated near the southern end of Branson Landing, the zipline is easily accessible to downtown visitors. 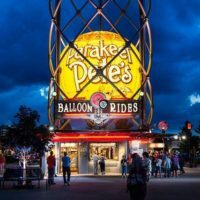 Unlimited Rides + Parakeet Pete’s Steampunk Balloon Included! 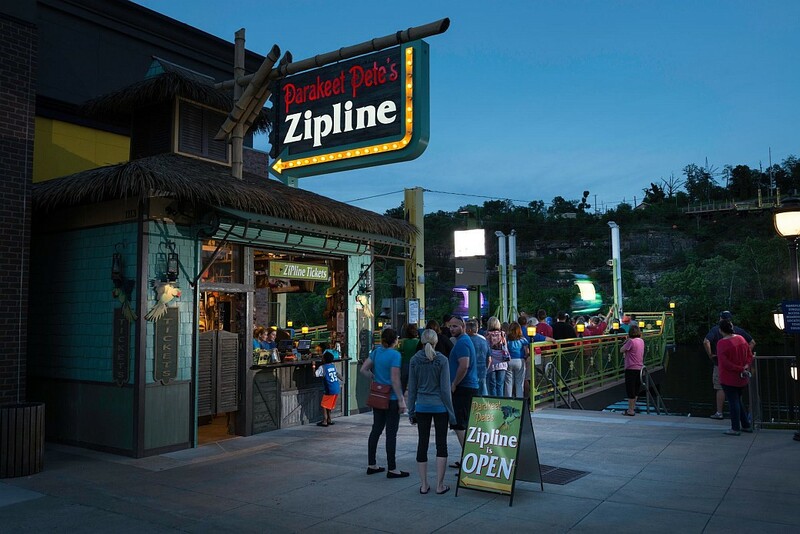 When you purchase your tickets, not only will do you receive unlimited zipline rides, but you will also receive unlimited rides at Parakeet Pete’s Steampunk Balloon (also located at the Branson Landing)! 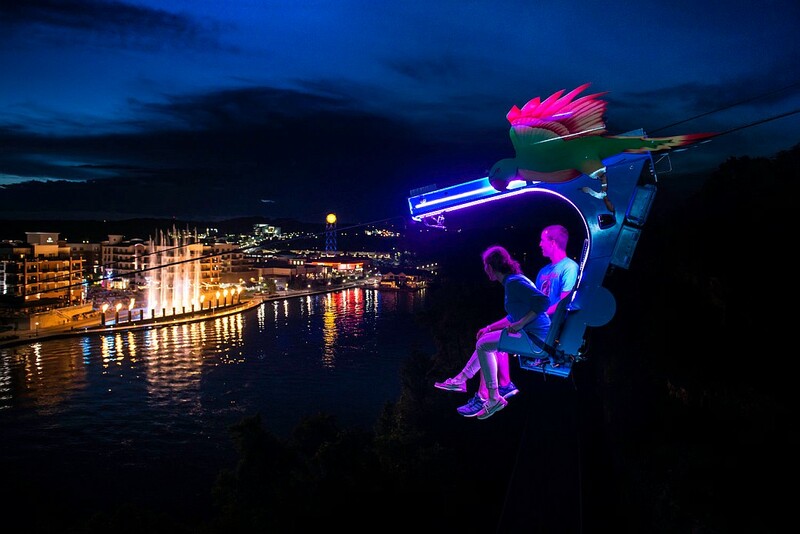 The balloon offers an unmatched sightseeing experience as it lifts you up nearly 200′ overlooking the entire downtown area, Branson Landing, and Lake Taneycomo! 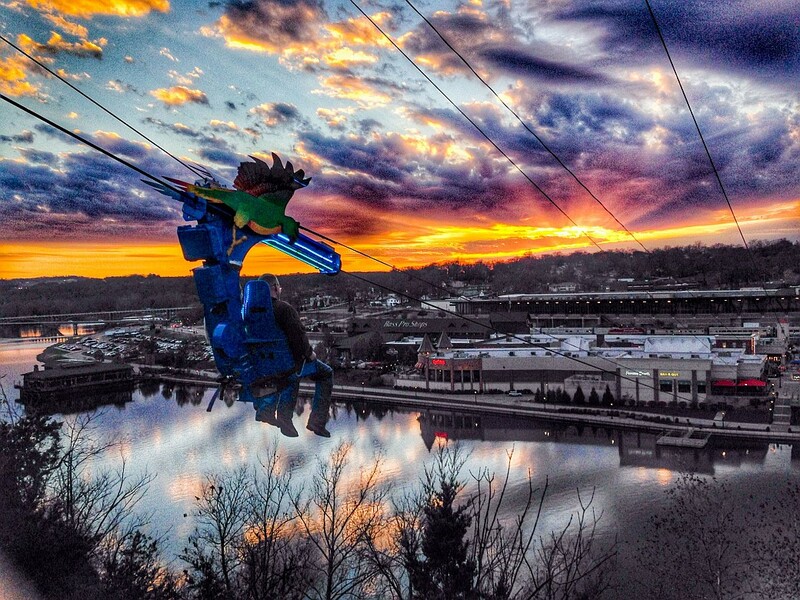 We thought this was a quick neat experience when we were down at the Landing one night.